Today is the birthday of Grigori Rasputin (January 21, 1869–December 30, 1916). He “was a Russian peasant, an experienced traveler, a mystical faith healer, and trusted friend of the family of Nicholas II, the last Tsar of the Russian Empire. He became an influential figure in Saint Petersburg, especially after August 1915 when Nicholas took command of the army fighting in World War I. Advising his wife, Alexandra Feodorovna, in countless spiritual and political issues, Rasputin became an easy scapegoat for Russian nationalists, liberals and aristocrats. Grigory Yefimovich Rasputin, original name Grigory Yefimovich Novykh (born 1872?, Pokrovskoye, near Tyumen, Siberia, Russian Empire—died December 30 [December 17, Old Style], 1916, Petrograd [now St. Petersburg, Russia]), Siberian peasant and mystic whose ability to improve the condition of Aleksey Nikolayevich, the hemophiliac heir to the Russian throne, made him an influential favourite at the court of Emperor Nicholas II and Empress Alexandra. 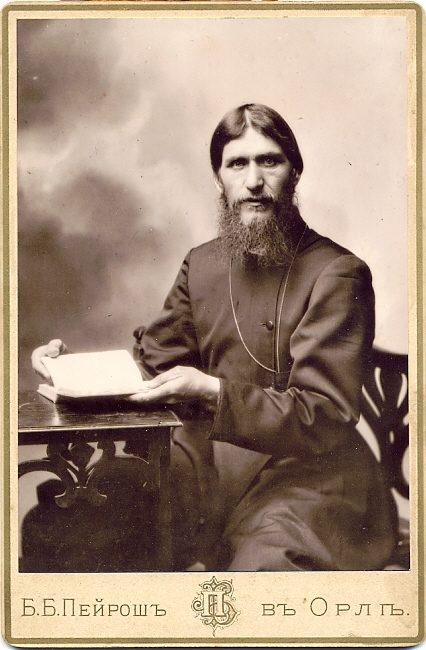 Although he attended school, the peasant Grigory Yefimovich Novykh remained illiterate, and his reputation for licentiousness earned him the surname Rasputin, Russian for “debauched one.” He evidently underwent a religious conversion at age 18, and eventually he went to the monastery at Verkhoture, where he was introduced to the Khlysty (Flagellants) sect. Rasputin perverted Khlysty beliefs into the doctrine that one was nearest God when feeling “holy passionlessness” and that the best way to reach such a state was through the sexual exhaustion that came after prolonged debauchery. Rasputin did not become a monk. He returned to Pokrovskoye, and at age 19 married Proskovya Fyodorovna Dubrovina, who later bore him four children. Marriage did not settle Rasputin. He left home and wandered to Mount Athos, Greece, and Jerusalem, living off the peasants’ donations and gaining a reputation as a starets (self-proclaimed holy man) with the ability to heal the sick and predict the future. 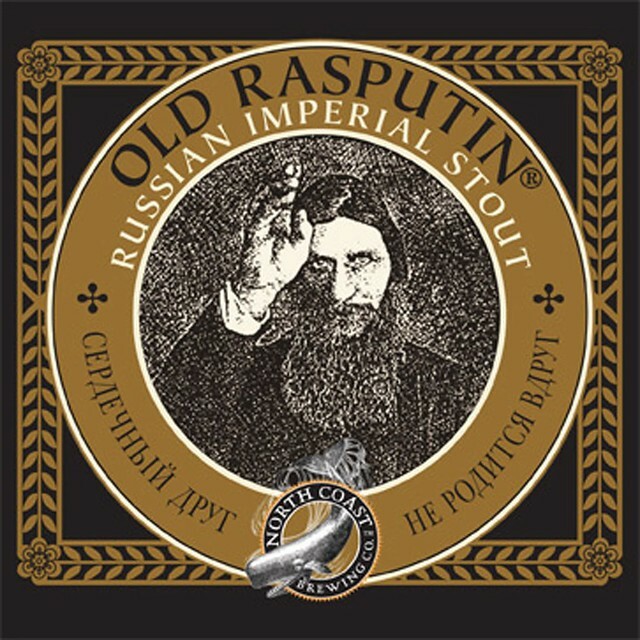 Naturally, the reason Rasputin has anything to do with beer, is that Mark Ruedrich, the founder of North Coast Brewing in Fort Bragg, California, named his imperial stout after the “mad monk,” and his Old Rasputin Russian Imperial Stout has become a classic beer, one of the earliest examples of what’s become a very popular style of beer, and, frankly, is still one of the best tasting. Happily, you don’t have to go as far as Russia, or even England, to find an imperial stout. We’re very lucky that one of the best Russian Imperial Stouts brewed anywhere is made in nearby Fort Bragg. 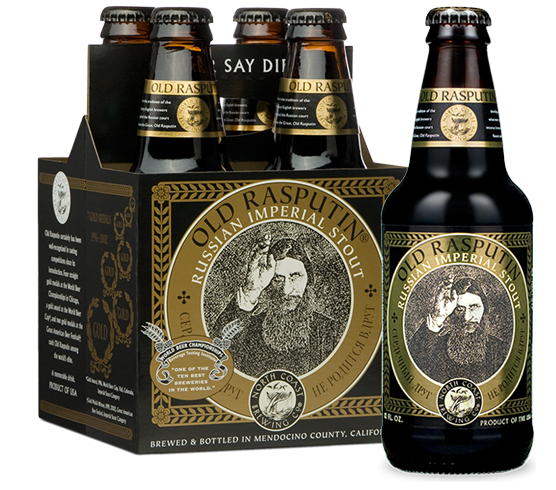 North Coast Brewing’s Old Rasputin Russian Imperial Stout was also one of the first brewed in America, and was most likely the second (after Bert Grant’s Imperial Stout), which makes it the oldest one still being made. I visited the Fort Bragg brewery last week and watched the latest batch of Old Rasputin being bottled, as I spoke to founder Mark Ruedrich about his beer. When they opened in 1988, North Coast had a terrific stout they called Old No. 38. But a few years later, Ruedrich decided he wanted to do something different, and noticed that almost nobody else was making the style. Grant’s version also included honey, which is not a traditional ingredient for the style. So he set to work brewing an authentic version of the style, which by that time was even nearly gone in England, too, with very few still making it. Shortly before its 1994 debut at the pub, Tom Dalldorf, publisher of the “Celebrator Beer News,” happened to be in town visiting the brewery. He recalls Ruedrich handing him a glass and saying. “Here’s a new beer I’m about to release.” Dalldorf recalls seeing its inky black color and asking “don’t you already make a stout?” Mark responded with something like “this is different, just try it.” Like most of us, Tom immediately fell in love with it. The beer has a definite “wow factor” from the very first sip, with gorgeous milk chocolate, roasted coffee notes and warming sweet flavors from its 9% a.b.v. It’s as bold as they come and infinitely complex, an ever-lasting gobstopper of a beer. It also enjoys near perfect balance. 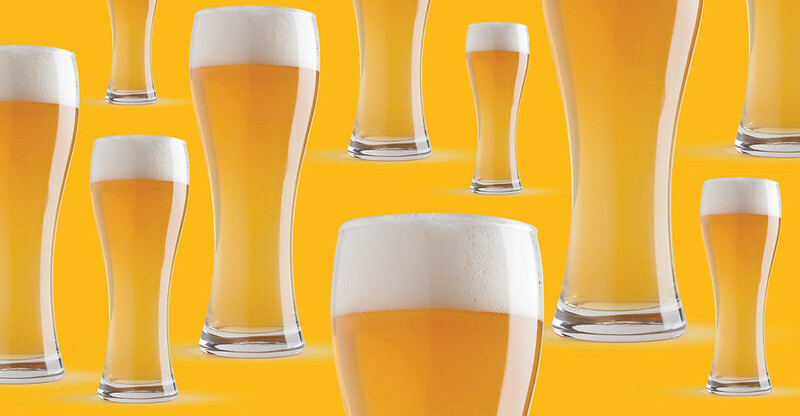 It’s a sipping beer, and changes as it warms in your glass. It’s a not a beer for a pint glass, you’ll want a snifter to get the full aromas of the beer as you slowly sip it by the fire. One additional fun fact: on the label of Old Rasputin in a quote written in the Cyrillic Russian alphabet. Translated, it’s apparently a traditional Russian saying, or proverb: “a sincere friend is not born instantly.” But if you’re a fan of big beers, you’re love for this beer will almost certainly be instantaneous. For even bigger flavors, if that’s possible, try North Coast’s Old Rasputin XIV, which is their imperial stout aged in bourbon barrels. 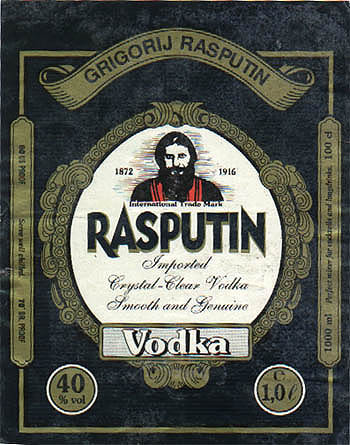 The label also features part of a well-known photograph of Rasputin. And while you find it all over the internet, its origin seems unknown, or at least widely uncredited. The murder of Rasputin, Russia’s infamous “Mad Monk,” is the fodder for a great historical tale that blends fact and legend. But the death of the controversial holy man and faith healer had a combustible effect on the tense state of affairs in pre-revolution Russia. Rasputin was killed on December 30, 1916 (December 17 in the Russian calendar in use at the time), in the basement of the Moika Palace, the Saint Petersburg residence of Prince Felix Yussupov, the richest man in Russia and the husband of the Czar’s only niece, Irina. His battered body was discovered in the Neva River a few days later. In the decade prior, Rasputin had risen rapidly through Russian society, starting as an obscure Siberian peasant-turned-wandering-holy-man and then becoming one of the most prominent figures in the Czar’s inner circle. Born in 1869 in the village of Pokrovskoye, on the Tura river that flows eastward from the Ural Mountains, where Europe meets Asia in Siberia. He seemed destined for an ordinary life, despite a few conflicts in his youth with local authorities for unruly behavior. He married a local woman, Praskovya Dubrovina, became the father of three surviving children, Maria, Dmitri and Varvara, and worked on his family’s farm. Rasputin’s life changed in 1892, when he spent months at a monastery, putting him on the path to international renown. Despite his later nickname, “The Mad Monk,” Rasputin never took Holy Orders. 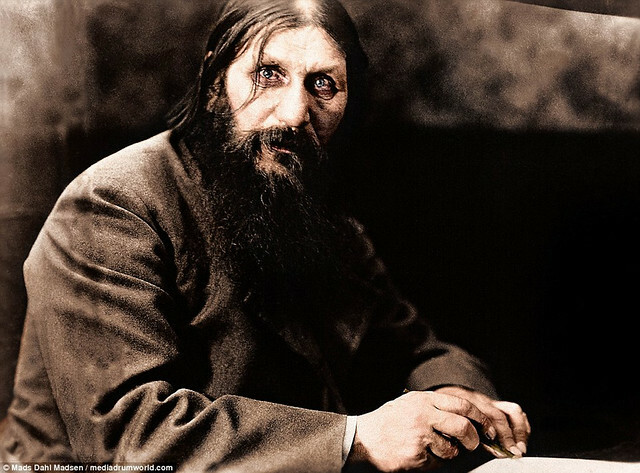 Men in Rasputin’s position usually gave up their past lives and relationships but Rasputin continued to see his family – his daughters later lived with him in Saint Petersburg – and support his wife financially. 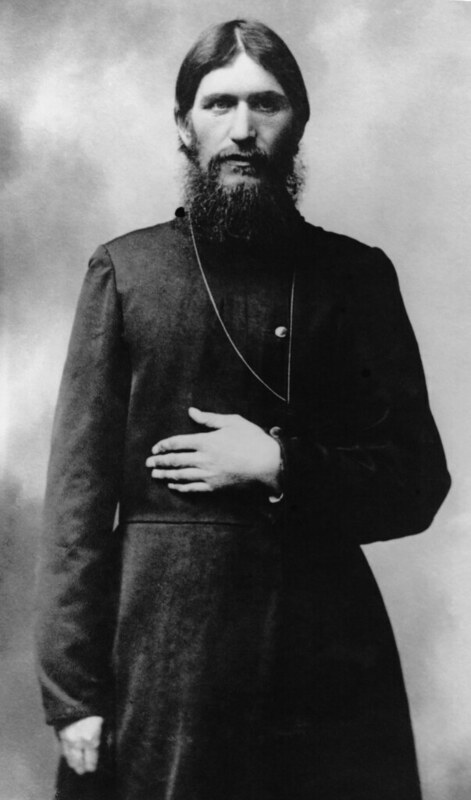 His religious fervor, combined with an appealing personal charisma, brought Rasputin to the attention of some Russian Orthodox clergymen and then senior members of the Imperial family, who then introduced him to Nicholas II and his wife, Alexandra. The Imperial couple had consulted unconventional spiritual advisors in the past, but Rasputin filled this role by his ability to read their inner hopes and tell them what they wanted to hear. He encouraged Nicholas to have more confidence in his role as czar, and Alexandra found that his counsel soothed her anxieties. By the First World War, Rasputin was also providing political advice and making recommendations for ministerial appointments, much to the dismay of the Russian elite. Rasputin cemented his relationship with the czar and czarina when he supposedly helped alleviate their only son Alexei’s hemophilia. Rasputin’s alleged healing powers continue to be debated today. The Czar’s sister, Grand Duchess Olga, wrote that she observed Rasputin healing Alexei by kneeling at the foot of his bed and praying; the calming atmosphere that he created in the palace may have assisted with the recovery. Alexandra’s lady-in-waiting, Baroness Sophie Buxhoeveden, thought that Rasputin employed peasant folk medicine used in Siberian villages to treat internal bleeding in horses. Historians continue to debate Rasputin’s impact on Alexei’s health. 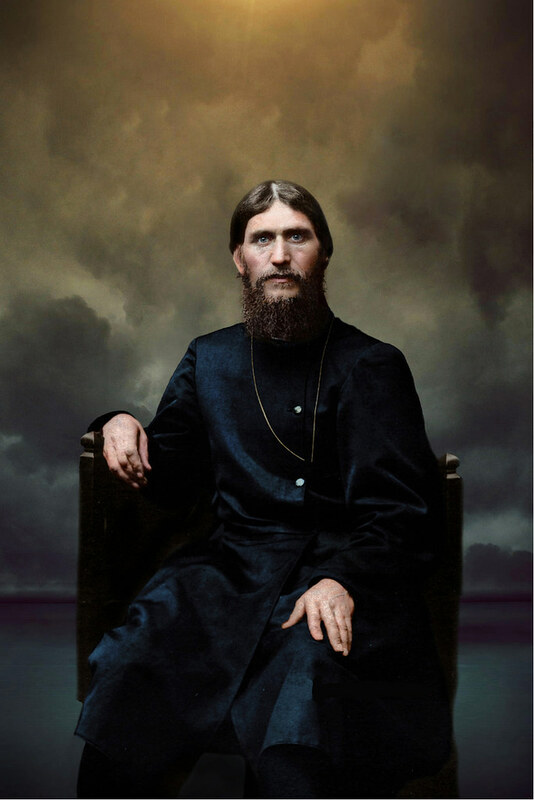 In his 2016 book, Rasputin: Faith, Power and the Twilight of the Romanovs, Douglas Smith observes, “Rasputin’s assurances calmed the anxious, fretful mother and filled her with unshakeable confidence, and she, in turn, transferred this confidence to her ailing son, literally willing him back to health.” In addition to increasing confidence in recovery, a key variable may have been Rasputin’s insistence that doctors keep away from Alexei. Medical knowledge was still sparse, even though drugs like aspirin were available for treatment. Unfortunately for Alexei, aspirin, considered a cure-all remedy, had the then-unknown side effect of thinning the blood, which would have exacerbated hemophilia symptoms. 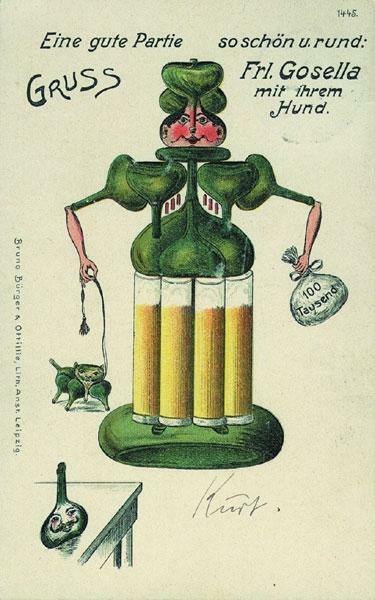 French historian Hélène Carrère d’Encausse argued that when Rasputin insisted that remedies prescribed by the doctors be thrown in the fire, the discarded medicine likely would have included aspirin. 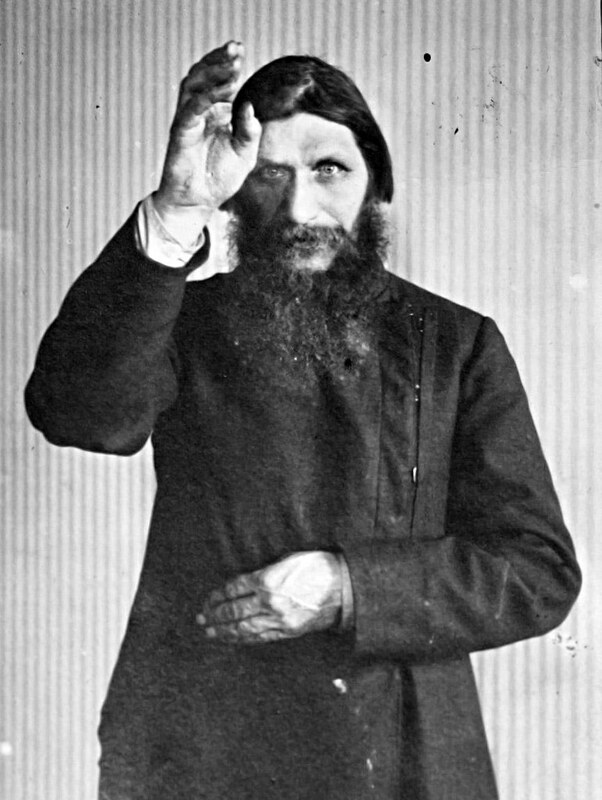 Rasputin’s insistence that the doctors leave him alone would have improved his condition and appeared to create a miraculous improvement in his symptoms. Soldiers on World War I’s Eastern front spoke of Rasputin having an intimate affair with Alexandra, passing it off as common knowledge without evidence. As the war progressed, outlandish stories expanded to include Rasputin’s supposed treason with the German enemy, including a fantastical tale that he sought to undermine the war effort by starting a cholera epidemic in Saint Petersburg with “poisoned apples imported from Canada.” What the public thought they knew about Rasputin had a greater impact than his actual views and activities, fueling demands that he be removed from his position of influence by any means necessary. Until he murdered Rasputin, Felix Yussupov lived a comparatively aimless life of privilege. One of Nicholas II’s daughters, also named Grand Duchess Olga, worked as a nurse during the war and criticized Yussupov’s refusal to enlist, writing to her father, “Felix is a ‘downright civilian,’ dressed all in brown…virtually doing nothing; an utterly unpleasant impression he makes – a man idling in such times.” Plotting Rasputin’s murder gave Yussupov the opportunity to reinvent himself as a patriot and man of action, determined to protect the throne from a malign influence. For Yussupov and his co-conspirators, the removal of Rasputin could give Nicholas II one last chance of restoring the reputation and prestige of the monarchy. With Rasputin gone, the czar would be more open to the advice of his extended family, the nobility and the Duma and less dependent on Alexandra. There was hope that he would return from military headquarters and once again govern from Saint Petersburg. The most well-known account of Rasputin’s murder was the one that Yussupov wrote in his memoirs, published in 1928. Yussupov claimed to have invited Rasputin to his palace to meet his wife Irina (who was in fact away at the time) and then served him a platter of cakes and numerous glasses of wine laced with potassium cyanide. To Yussupov’s astonishment, Rasputin appeared to be unaffected by the poison. A desperate Yussupov borrowed the revolver of the Grand Duke Dmitri, the czar’s cousin, and shot Rasputin multiple times, but was still unable to kill him. According to the memoir, “This devil who was dying of poison, who had a bullet in his heart, must have been raised from the dead by the powers of evil. There was something appalling and monstrous in his diabolical refusal to die.” There was reputedly water in his lungs when his remains were discovered, indicating that he had finally died by drowning. Rasputin’s actual murder was probably far less dramatic. His daughter Maria, who fled Russia after the Revolution and became a circus lion tamer billed as “the daughter of the famous mad monk whose feats in Russia astonished the world,” wrote her own book in 1929 that condemned Yussupov’s actions and questioned the veracity of his account. She wrote that her father did not like sweets and never would have eaten a platter of cakes. The autopsy reports do not mention poison or drowning but instead conclude that he was shot in the head at close range. Yussupov transformed the murder into an epic struggle of good versus evil to sell books and bolster his own reputation. The responses from the public were mixed, reflecting Rasputin’s checkered reputation. The elite, from whence Yussupov and his co-conspirators came, rejoiced and applauded the killers when they appeared in public. The peasantry mourned Rasputin as one of their own, seeing the murder as one more example of the nobility controlling the Czar; when a peasant rose to a position of influence with the Czar, he was murdered by wealthy men. 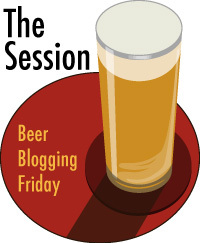 For our 142nd and final Session, our host will be Stan Hieronymus, who founded the Session, and writes the Appellation Beer Blog. I could think of no better person than the man who started it all with the first Session back in March of 2007 with the topic “Not Your Father’s Stout.” In the intervening 11+ years we’ve tacked 141 topics, wrote about 24 specific styles along with another 27 broader categories of beer (like wood-aged or session beers). We discussed the packages beer can come in or what’s on the package 6 times and where to drink it 12 times. Homebrewing came up 3 times, food and beer 4 times, and mixing with beer twice. 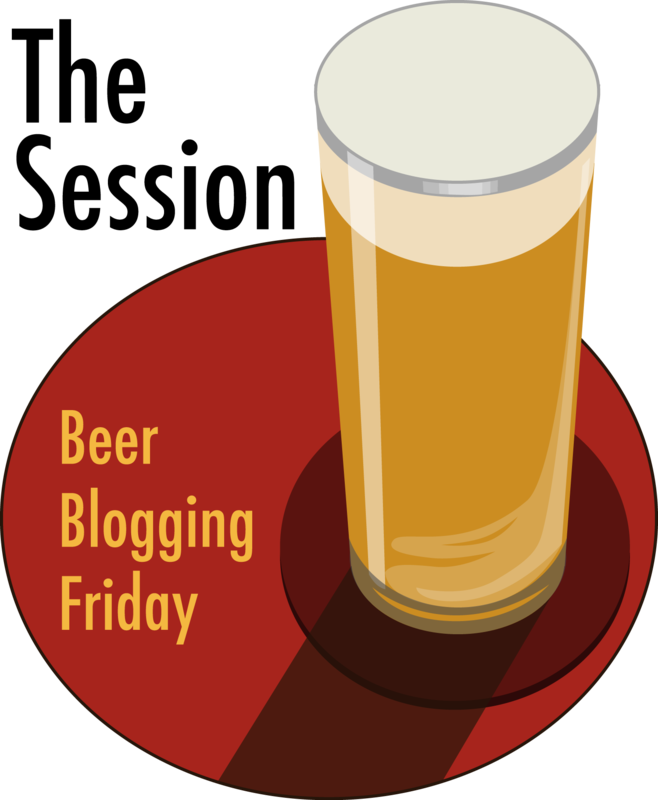 We wrote about beer history 7 times, locality 11 times, beer on the interwebs at least 3 times, and ourselves and beer writing an astonishing 37 times. 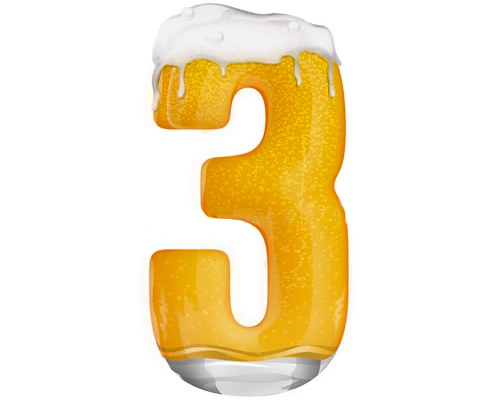 We’ve tackled beer abroad or traveling to the beer 8 times and have been asked to make predictions 4 times, including by me last month. That’s not including the dozens of unique singular topics. But back to the final topic. 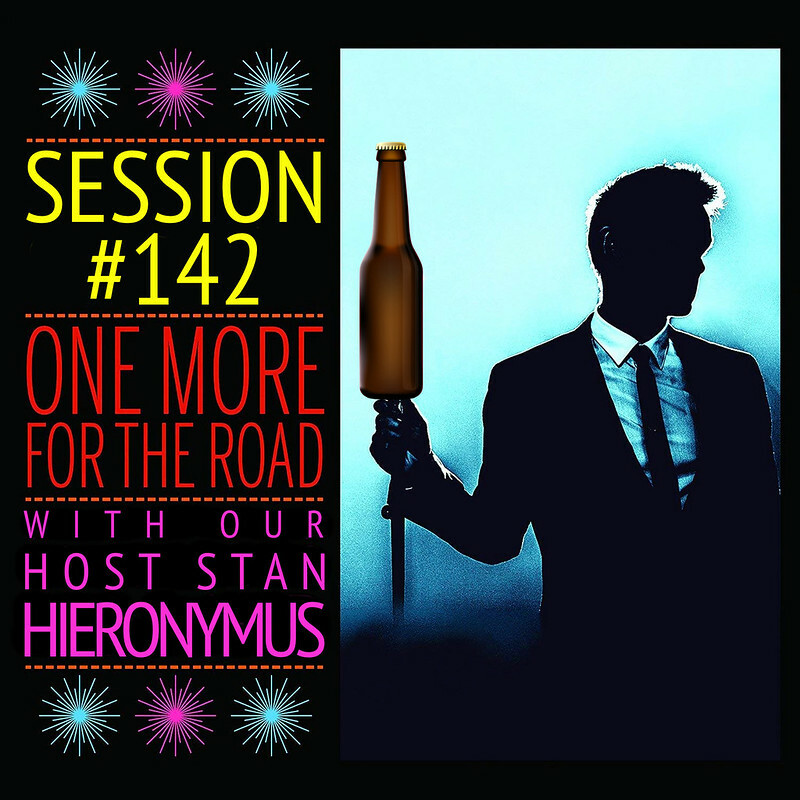 For Stan’s topic this month, he’s chosen One More For the Road, which he sums up as going out with a bang, um … I mean beer; going out with a beer. So what beer would you choose? If you only have one to pick — and you do — what would it be? How would (will) you decide? 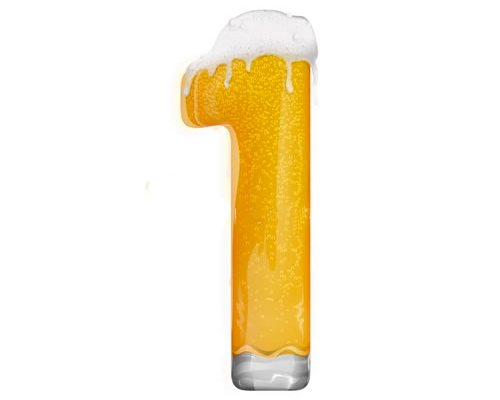 You only have one more beer to drink, make it count. When Jay Brooks and I exchanged emails about the topic this month I flippantly suggested “Funeral Beers” [which] seemed appropriate. You can call it “Last Beers” if you’d rather not think about how your friends might toast you when you no longer are participating. 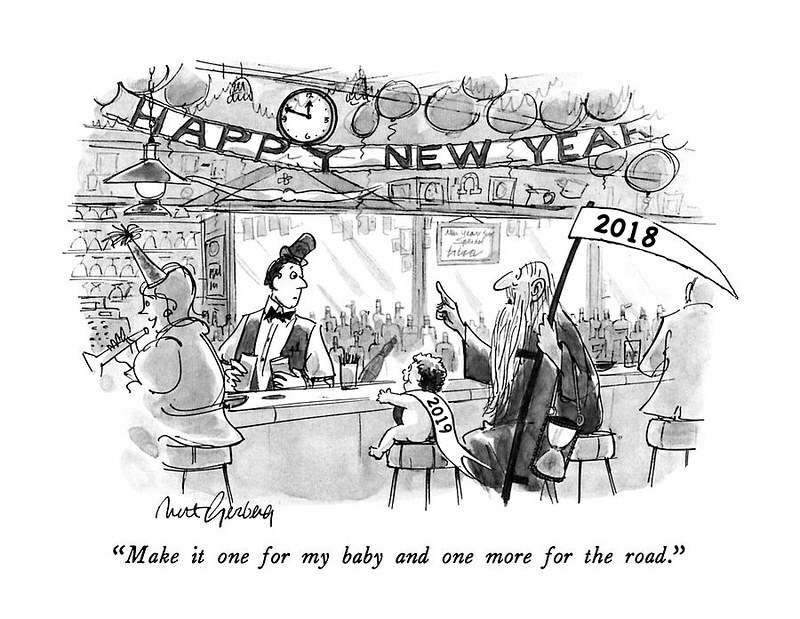 Or “One more for the road”* because that has a soundtrack. 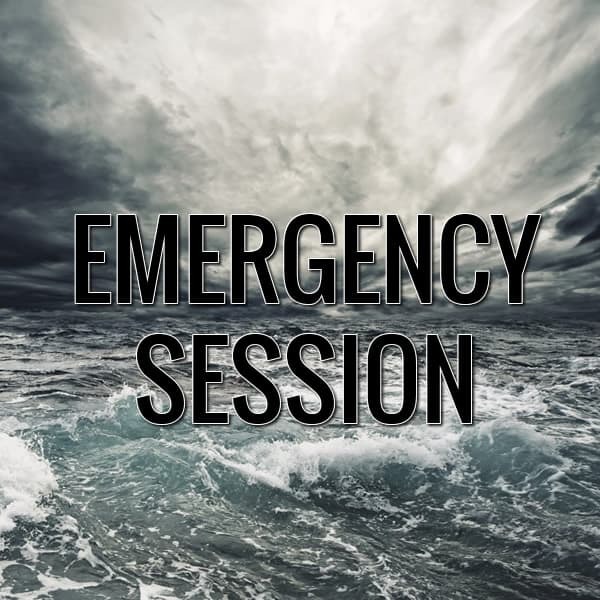 To participate in the December Session, simply post a link to your session post by commenting at the original announcement, or “on Twitter, Instagram, Facebook, wherever” on or before Friday, December 7, or by the 12th at the latest. For our 138th Session, our host is Jack Perdue, who writes Deep Beer. For his topic, he’s chosen The Good in Wood, by which he means beer being stored in wood or otherwise flavored with it. I will suggest a few themes to stir your imagination on “The Good in Wood” but of course you can choose your own path. So this month I’m going to use The Session to be the old man telling the kids to get off of his lawn as he shouts into the wind. Let me start by stating this. I love barrel-aged beers. I’ll repeat that, because it may come up later. I love the complexity that’s added by a beer spending time in a wooden barrel. Over ten years ago, in 2006, I took issue with an article in a Wisconsin newspaper in which the writer — who called himself the Beer Man — declared that bourbon barrel stouts were “just a fad.” I said he was wrong twelve years ago, and I say without fear of retribution that he’s even more wrong today. If anything, they’re more popular than ever, and not just stouts, but wood-aged and barrel-aged beers of all sorts of types. They’re so popular now that many brewers have told me it’s getting harder (and more expensive) to just find barrels to use for aging their beer. And many of these beers are amazing. But here’s my caveat, and the one that appears to make me the odd man out, the old curmudgeon. As barrel-aged beers have become more and more extreme, almost like an arms race of bourbony proportions, many of these beers have lost their beerishness. I have had many debates and/or arguments on judging panels, panel discussions and at casual tastings, which clearly show me to be the outlier, over how much wood is too much wood. I’ve found that many people seem to think there is no threshold too far, that the more a bourbon-barrel beer tastes like bourbon the better, even when it no longer resembles a beer. And I just can’t abide that. To me, it’s a bourbon-barrel “BEER.” If it no longer tastes of beer at all, it’s not really a beer anymore, but a malt-based bourbon. * Why not just drink a glass of bourbon? This type of extreme beer just overwhelms your tastebuds with only one sensation: whatever the original barrel once contained. But to my way of thinking, it should taste like the base beer style, and accentuated with the added flavor of the barrel, which should add complexity and layers of unique and/or new sensations. Instead, many just dull your senses by hitting you over the head with unbridled bourbon, or whiskey, or whatever. What’s the point? 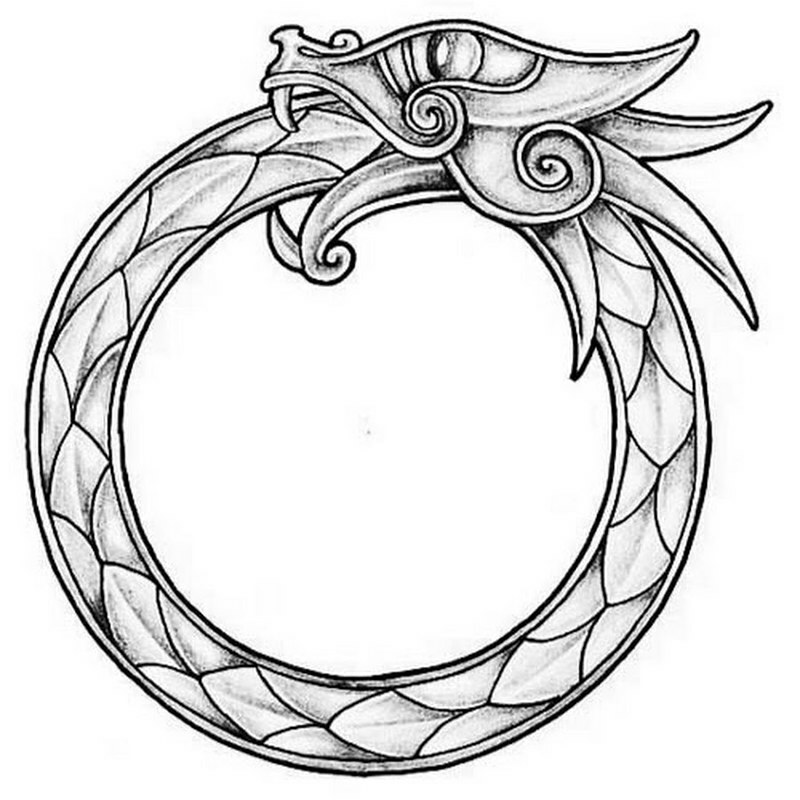 It seems to me that it’s become extremeness for the sake of extremeness, like a snake eating its own tail. 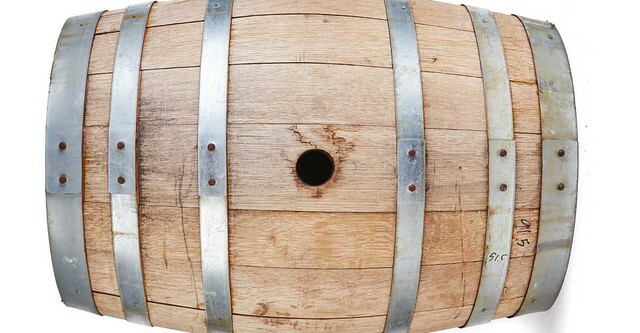 Used sherry, rum, bourbon, scotch, port, wine and other barrels are often used, imparting complexity and uniqueness to beer. Ultimately a balance of flavor, aroma and mouthfeel are sought with the marriage of new beer with wood and/or barrel flavors. And even though I’ve read this passage aloud to make my case, some people still prefer the bourbon bombs with no beerishness whatsoever. I get that people like what they like, but this one just confounds me, because they seem to have lost sight of what these beers were intended to be or should aspire to be. In the end, it comes down to what a brewery can sell. If consumers want bourbon-barrel aged beers that taste more like bourbon and almost nothing like beer, that’s what breweries will keep making. If they sell out of every vintage, who am I to say they’re wrong? But I still find it a crying shame that it’s become harder to find the truly exquisite barrel-aged beer that really does deliver a complex melange of unique flavors, that “marriage of new beer with wood and/or barrel flavors” that doesn’t “overpower the base beer.” Those beers are sublime; a thing of beauty. Give me one of those beers any day. *: For purposes of this discussion, I’m ignoring Utopias, the Brew Dog/Schorschbräu world’s strongest beer fracas, and all other beers made to prove a point about beer strength, pushing boundaries, etc. Is that fair of me? Maybe not, but I’m going to do it anyway. For our 138th Session, our host will be Jack Perdue, who writes Deep Beer. For his topic, he’s chosen The Good in Wood, by which he means beer being stored in wood or otherwise flavored with it. To participate in the August Session, simply post a link to your session post by commenting at the original announcement on or before Friday, August 3. 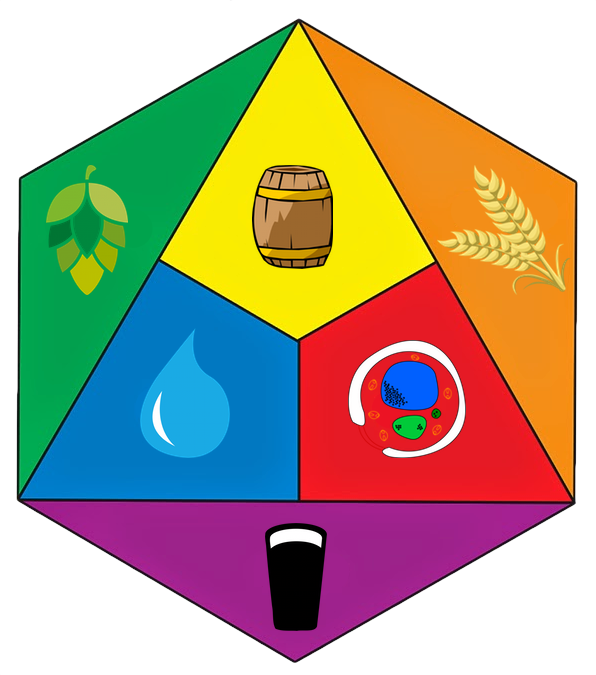 For our 136th Session, our host will be Dave S, who writes Brewing In A Bedsitter, or “Adventures in small batch homebrew.” For his topic, he’s chosen Farmhouse Beers, by which he’s asking everybody to consider the farmhouse beer or farmhouse brewery and wax philophically about it. Whether it’s about the success of modern craft breweries like Jester King and Burning Sky, the worldwide spread of saison or the revival of international interest in Northern European traditions, farmhouse brewing is a recurring theme in the beer world. It’s a very resonant idea but also one that invites many perspectives, so it seems like an ideal topic for the collective conversation that is The Session. I’d invite people to approach the topic however they like — the more creative the better — but here are some ideas to get you started. 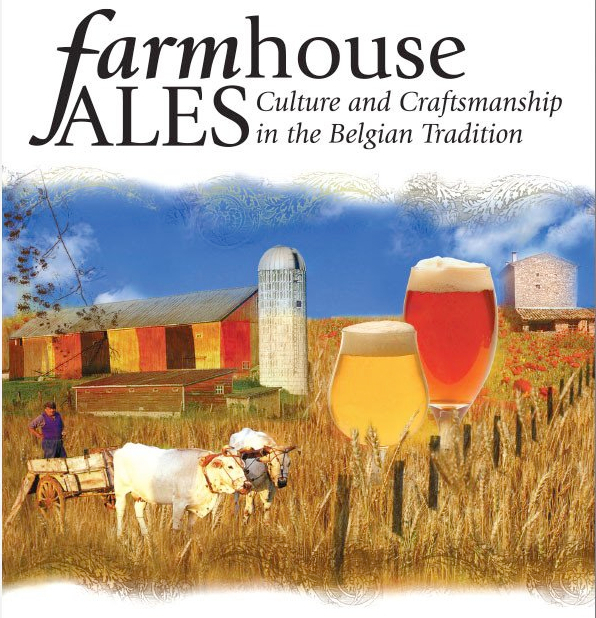 You could talk about how the word “farmhouse” is used in modern craft breweries, or about historic brewing traditions. You might want to think about how, if at all, the two are related. If you think that farmhouse brewing or farmhouse beer refers to something meaningful and relevant in modern beer, you could write something touching on what it means to you. What’s its defining element? Is it about style, ingredients, location or something else? Would you call a crisp, clean pilsner or a hoppy IPA a farmhouse beer if it was brewed from local ingredients in a medieval barn? What about a mixed fermentation barrel-aged saison brewed in a light industrial unit in a suburb of Manchester? Why does any of this matter? If you want to get specific, maybe talk about one or more beers or breweries that you think embody some aspect of the idea of farmhouse brewing. Or if you’re a homebrewer, you could talk about ways that your own beer has been influenced by it. Conversely, if you think that the modern idea of a farmhouse brewery is largely just about marketing and aesthetics then you could have a go at dissecting and deconstructing it. Where did it originate and what are its roots? Who popularized it? How is it constructed and signaled? Most importantly, why are people so keen to buy into it? This month, the first Friday is also the first day of the month, June 1, so don’t accidentally miss it. To participate in the June Session, simply post a link to your session post by commenting at the original announcement. This month’s Session was last minute to say the least. I woke up the first Friday of the month, January 5, to people on Twitter asking who was hosting and what the topic of the January Session was. Which for me was a facepalm moment because in the business of the holidays I hadn’t even noticed that no one had signed up to host the Session. So I scrambled to put one together, and tried to come up with something quick and easy. Normally, the round-up gives a short description of each person’s take on the topic, but since I posed three questions, I thought it made more sense to break the round-up into separate round-ups, so to speak. So that’s fourteeen participants, not to shabby considering it was posted last minute, on the day it was due. By and large, a majority felt a return to simply calling all beer just “beer” is the way to go, and I’m in that camp, as well. A close second, others felt “good beer” was a good (pun intended) way of marking the divide, and I have certainly used the term on numerous occasions. It avoids the politics but also conveys a certain fluid meaning that we all sort of understand. Not surprisingly, given that we’re all over the map geographically, so were the answers to this one. An interesting mix of breweries to explore. Happy to see so many people lamenting the scarcity of Milds, but there were plenty of other kinds of beer represented, and only a single mention of anything super hoppy (which, to be fair, was from outside hoppyland USA) although the more restrained and balanced Best Bitter (or English Pale Ale) did get a few mentions. If you know of any Session posts I missed, or if I missed yours, please drop me a note at “Jay (.) Brooks (@) gmail (.) com.” Thanks. According to the Session calendar, the next Session still has no host. If you’d like to host February’s Session, please let me know as soon as you can. Thanks. The date for the next Session will be Groundhog Day, February 2, 2018. For our 131st Session, I’m the host so I suppose it seems like a bit of a cheat for me since I made up the questions. Anyway, here are my three “simple” questions, with my own answers, which — for the record — I did not know in advance. The questions came first, then I had to come up with the answers the same way as anyone else. Still, I think, and hope, my questions will be fun and make everyone think about it a little bit. Plus, as many have pointed out, it was a Session emergency and I had to think fast. Long Answer: For a while now, I’ve been thinking that trying to divide up beer into two or more camps — big beer vs. craft beer, et al. — has become a fool’s errand. It just doesn’t work anymore, if indeed it ever really did. As the size of the brewery, ownership issues and other factors complicate how we define what constitutes a craft brewery, that’s pretty much all inside baseball. Consumers, of which I’m still one, don’t really care about most of these so long as the beer tastes good. There are reasons to care about ownership. I get that. And I certainly understand why the Brewers Association needs to define a craft brewery, but for almost everyone else it’s not terribly important. And since the term is increasingly meaningless to a majority of people, I think it’s time to ditch it and go back to calling it all beer. There’s just beer I’ll drink, and beer I don’t really want to drink. That’s how it’s always been, and that’s how it will always be. 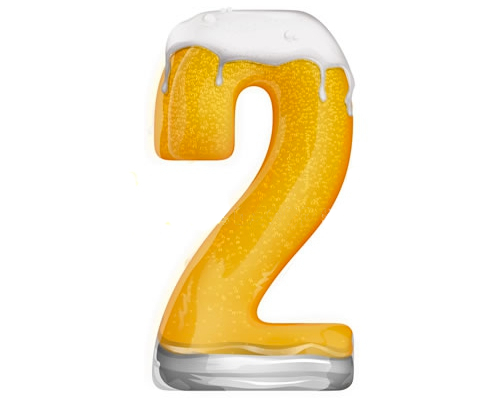 Answer 2: My second has to be Moonlight Brewing, the tiny self-distributing brewery tucked into Santa Rosa. It doesn’t hurt that owner/brewer Brian Hunt is one of my favorite people on Planet Beer, but he’s also the best brewer you’ve probably never heard of. I feel fortunate to live when you can find his beer, because it doesn’t exactly have wide distribution — only as far as Brian’s van can go. Answer 1: Milds. It’s baffling to me that people are trying to make sessionable versions of other beers, when there are already milds out there. Even more mystifying is that American brewers consistently have found that if they call their beer a “mild,” no one will buy it. If they give it a name without mild in it, people will order it. But I love milds, if only more people made them. Answer 2: Rye beers. Really any beer with some rye in the grain bill I generally like. I just love that spicy note that rye adds. It doesn’t need much rye to give it that extra oomph, although I’ll drink it no matter how much rye is used. Bear Republic once brewer a 100% rye beer as an experiment, finally making it work, and I was privileged to be there when they tapped the first keg. I thought it was delicious. Answer 3: Dunkelweizens. I already like German hefeiweizens but dunkleweizens just add a welcome additional element. The ones with chocolate notes are especially good to my taste, but the dark malt is great regardless and I find just that much more delicious than the regular weizens with malted wheat and pilsner malt. 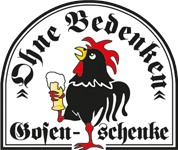 For a few years now, the City of Leipzig in Germany, has been celebrating today as International Happy Gose Day, or at least the Gosenschenke, or Gose-tavern, known as “Ohne Bedenken” (which translates as “Without Concern”), who started the holiday. 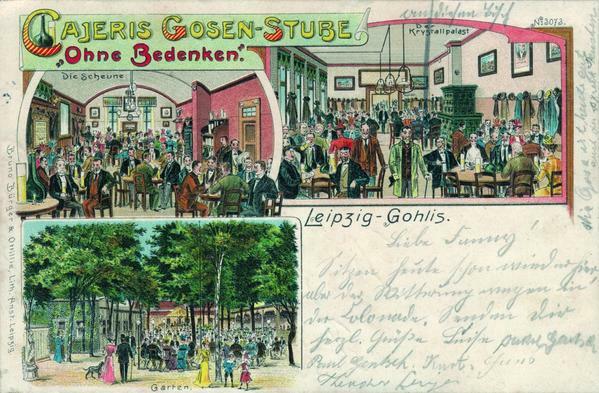 At the end of the 19th century, when Gose was at the peak of its popularity, there were dozens of Gosenschenke in Leipzig. 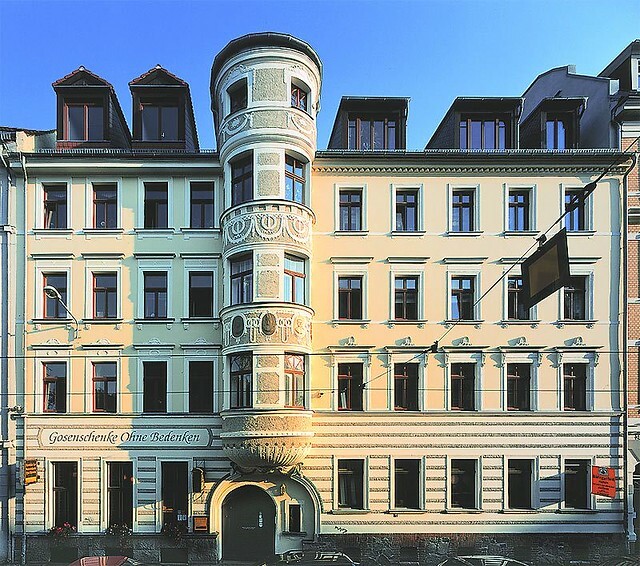 Ohne Bedenken belongs to this period, being built in 1899 in the suburb of Gohlis at a time when Leipzig was expanding rapidly in size. 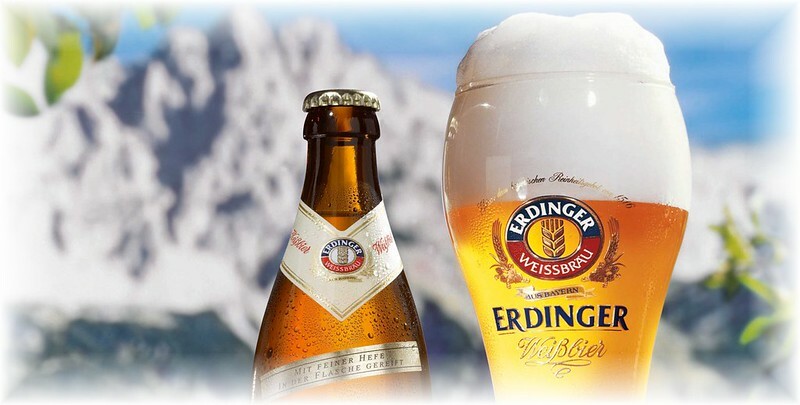 It was for a decade the only pub in the world selling this legendary beer. The building was damaged in wartime air-raids, but struggled along until as a pub until1958. After lying empty for a while, it became a Kulturzentrum for DDR soldiers in 1960. In 1968 a nearby polyclinic took it over for use by its X-ray department. When they left in the 1970’s, the historic pub again remained unused for many years. 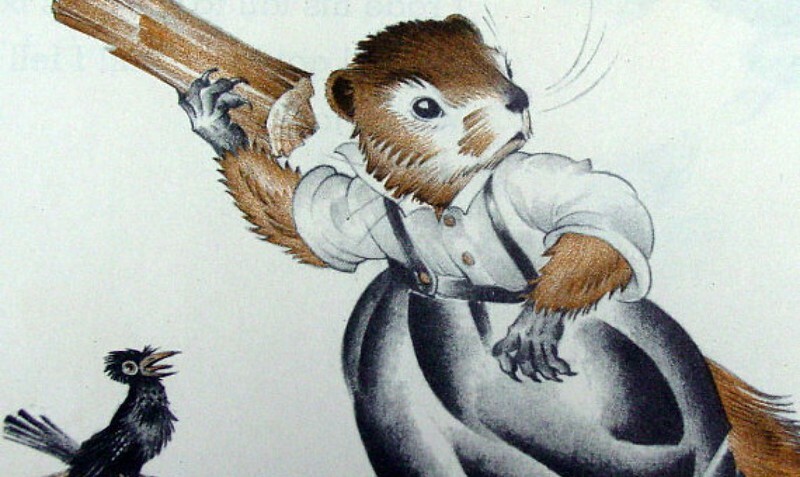 An article, published in the local Leipziger Blätter newspaper in 1983, evoking memories of Gose and Ohne Bedenken caught the attention of Lothar Goldhahn. He visited the premises, saw their potential and decided Leipzig deserved to have at least one remnant of its Gose culture preserved. Somehow persuaded the DDR authorities to let him restore and re-open Ohne Bedenken in the mid -1980’s. It seemed logical that a Gosenschänke should offer its customers a Gose. 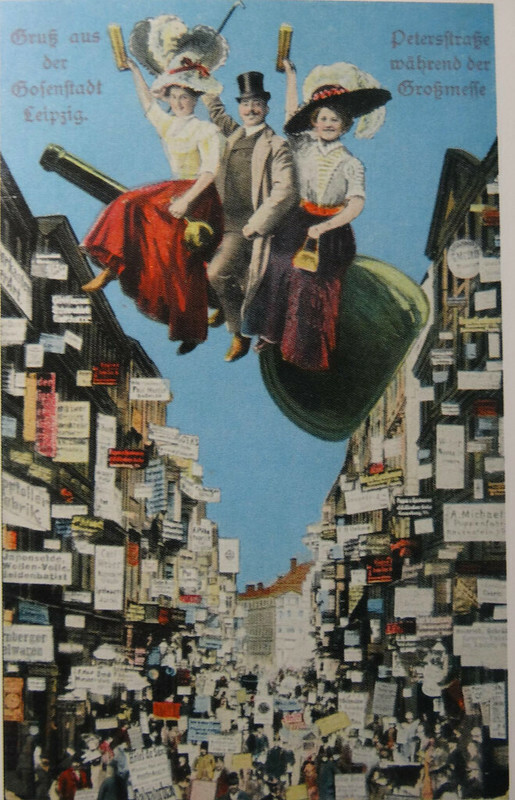 This caused him two big problems: what did Gose taste like and who could brew it for him? His first Gose, perfected after much research amongst older drinkers, was brewed in Berlin at the Schultheiss Berliner Weisse brewery. 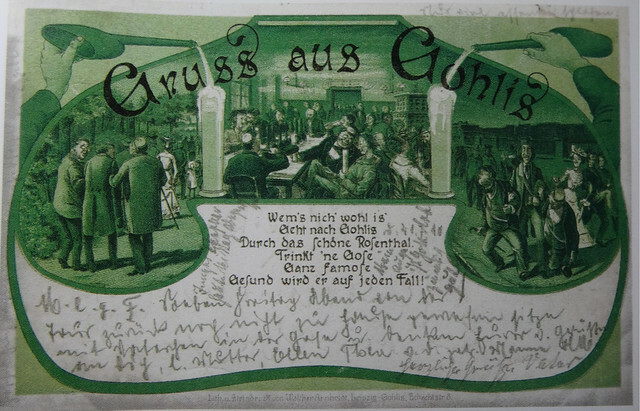 Hanisch Gose signObtaining a supply of Gose has never been an easy matter. Between 1988 and 1991 he had to make do with Berliner Weisse. 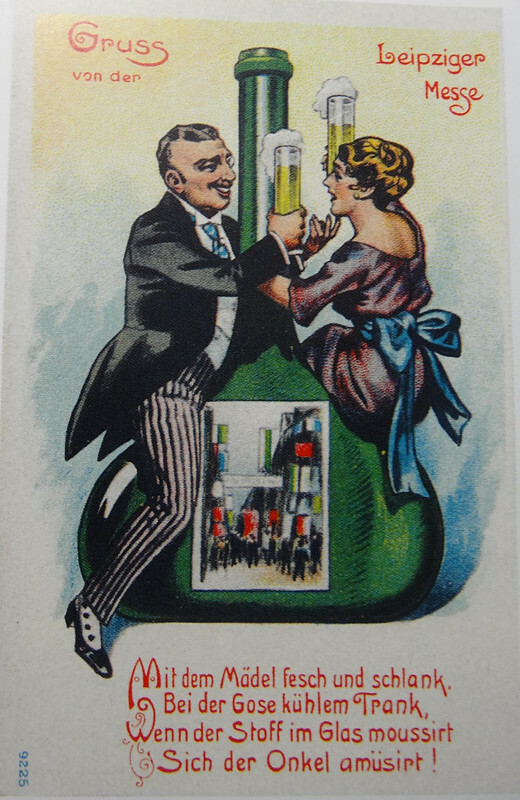 From 1991 to 1995 Goldhahn ran his own small brewery, but the limited demand for Gose made this economically unviable. 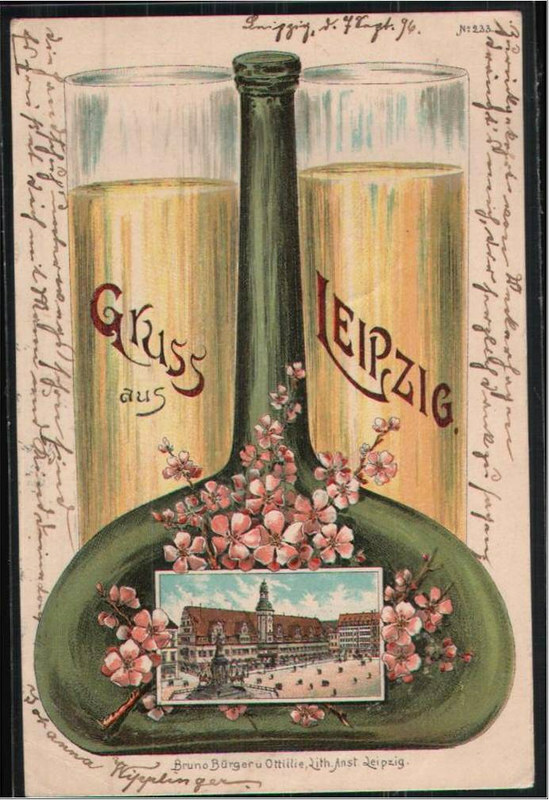 The pub currently sells both of the Goses made in Leipzig (and the world, for that matter). 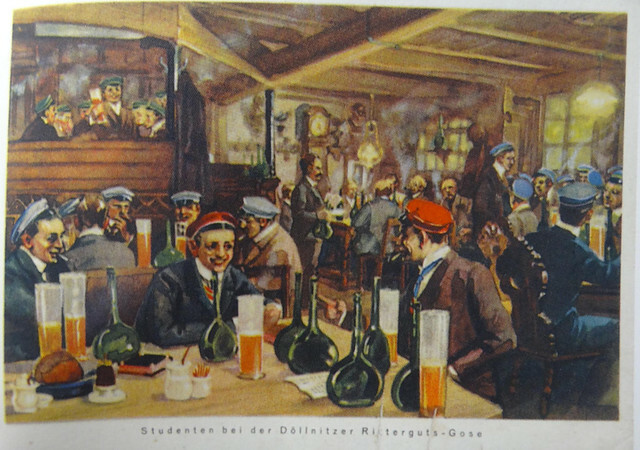 The interior has been restored to something akin to its original state and is stuffed full with Gose memorabilia in the form of old advertisements and bottles. 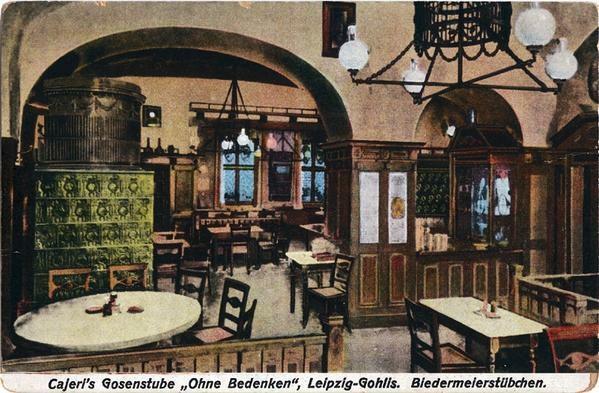 The style is similar to that of traditional beerhalls throughout Germany in its comfortable, uncomplicated design. For those intimidated by the sourness of straight Gose, a selection of Gose cocktails are available. The combination of a traditional, cosy atmosphere and friendly, enthusiastic staff, make it by far the best pub I’ve found in Leipzig or, for that matter, anywhere in the old DDR. The only drawback is its inconvenient location, in a northern suburb about a kilometre and a half away from the city centre. If you don’t fancy the walk, you can take a number 11 tram from the Hauptbahnhof. 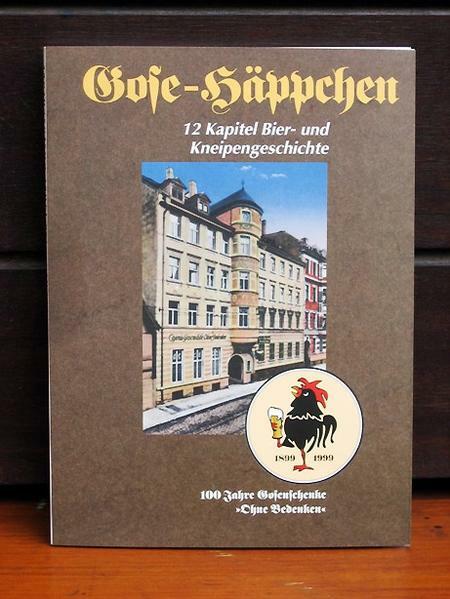 For their 100th anniversary in 1999, they published a booklet entitled “Gose Häppchen: 100 Jahre Gosenschenke Ohne Bedenken,” which is less than 80 pages. 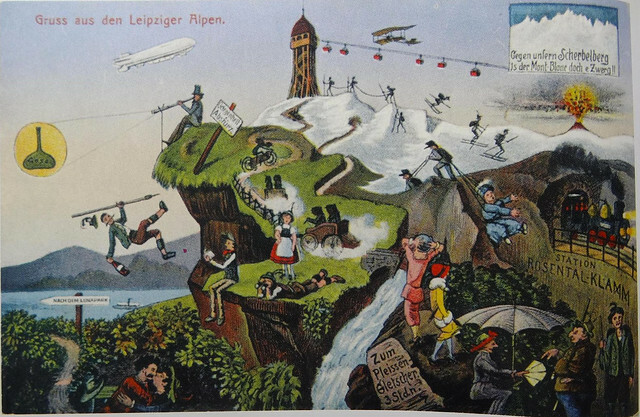 Here are some of the illustrations from that book showing early imagery of gose. 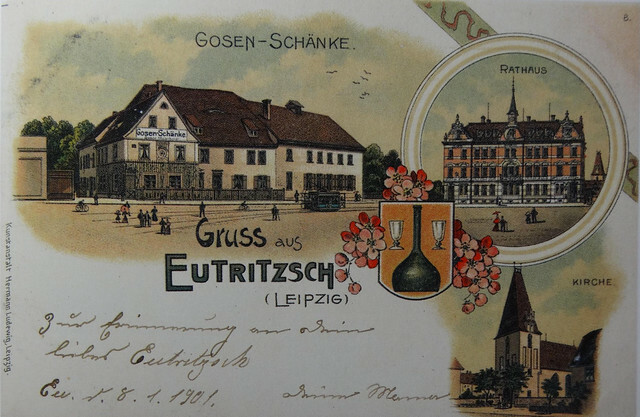 A postcard from around 1900. For our 129th Session, our host will be Eoghan Walsh, who writes Brussels Beer City. For his topic, he’s asking “what beer style would you like to see being brewed in your local market that is not yet being brewed?” and has titled his topic Missing Local Beer Styles. In 2017 it might seem odd to think that there are beer styles missing from our local markets. We seem to be living in an era of almost ubiquitous choice – where almost every style of beer is available to us either in bars or online, and where new styles quickly break out from their local markets to be brewed by craft or independent breweries around the world. Often though, this choice feels like one between an IPA, a session IPA, a double IPA, a NEIPA, a black IPA (although, really? 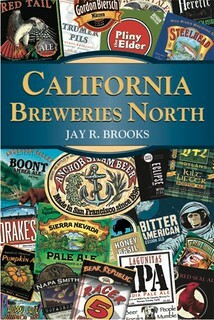 ), West Coast IPA, fruited IPA, etc. 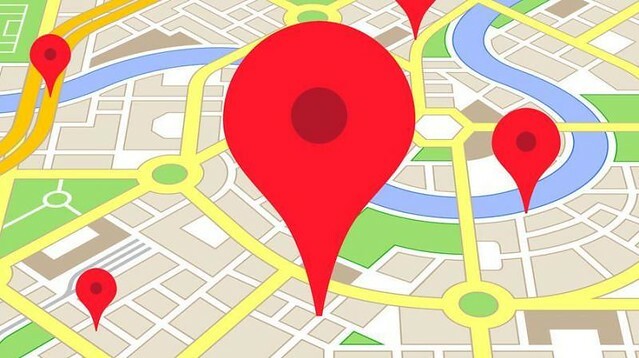 And outside of large metropolitan areas, areas with a large craft beer culture, or regions without recourse to online shopping the spread of different or new styles can remain limited. That’s not even to mention the local or regional styles that disappeared in the last 50 years. 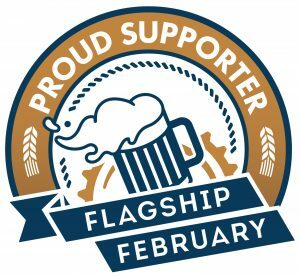 And that’s why the theme of this month is styles missing from your local brewing scene’s canon. 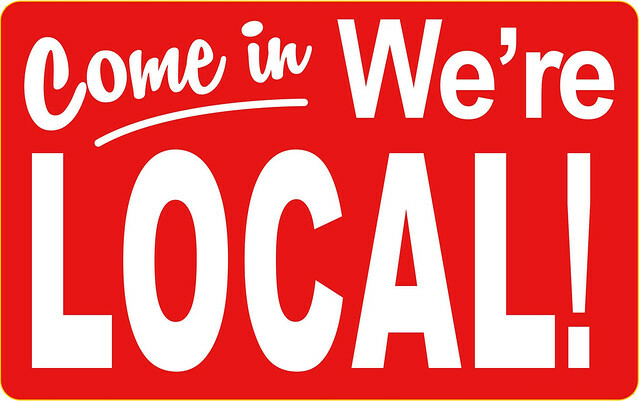 And you can take local as a relative concept, depending on your context – your town or municipality, county, region, even country if you really are isolated. 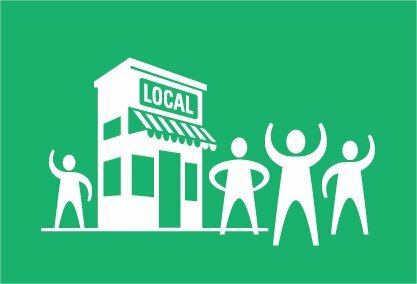 And local also means brewed locally, not just available locally. Essentially: what beer style would you like to see being brewed in your local market that is not yet being brewed? Simple enough question. The “Dodo” – a local or regional style that has died out and not yet experienced the same revival of the likes of London Porter or Göse. The “Phoenix” – narrowing your focus from the style to a specific exemplar of said style, that is no longer in production, from a particular brewery – think of the birth-death-rebirth cycle of a Thomas Hardy’s Ale for example. 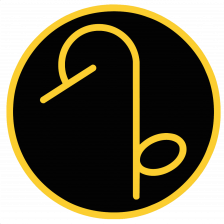 The “Contrarian” – you could always take the contrarian approach, and call out a style being produced locally that you’d really rather not see again. Ever. So what local beer styles do you think are missing from where you live? There’s a lot out there, so I imagine it’s hard to know what’s not there. But have a drink, and start thinking about what’s not in your glass, but should be. Simply leave a comment at the original announcement and leave the URL to your post there.